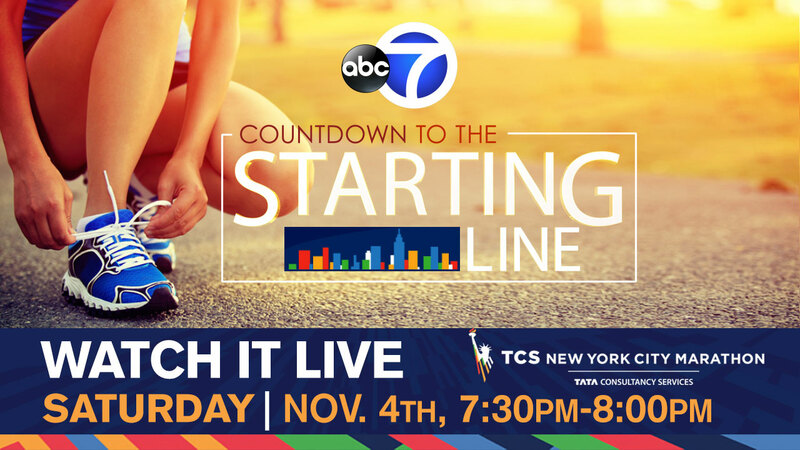 NEW YORK -- On the eve before the 2017 TCS New York City Marathon, Eyewitness News Anchors Liz Cho and David Novarro hosted our half hour special "Countdown to the Starting Line." The setting is in the traditional carb-fest at the TCS New York City Marathon Pavilion just steps from the Finish Line in Central Park. Thousands of runners from all over the world came to share the anticipation of the big race, as well as Marathon week activities like the colorful Parade of Nations in Central Park. Joining David and Liz is Eyewitness News Meteorologist Amy Freeze with the all-important race day forecast and Sports Anchor Ryan Field with the lowdown on which top runners to keep an eye on. We take a look at how the course winds through all five NYC boroughs and meet some 'everyday' runners whose stories are sure to inspire. For more than 20 years, New York Apple Growers have partnered with the Marathon. So we visit an upstate apple farm to get to the core of what makes New York apples so great. We meet a celebrity chef and his team of restaurant workers who are taking on the marathon. We see them in the kitchen and out on the track. And we hear from a NewYork-Presbyterian Columbia University Medical Center Sports Cardiologist about the impact long distance running has on the heart and body. There are takeaways we all can use, even a couch potato! Watch part 1 of our pre-marathon half hour special. Watch part 2 of our pre-marathon half hour special. Watch part 3 of our pre-marathon half hour special. Watch part 4 of our pre-marathon half hour special.